The theme of this year’s Don’t Gamble with Your Health Week is how people take risks with their health while they are at work. Sitting on the job can be a significant problem with people’s health. 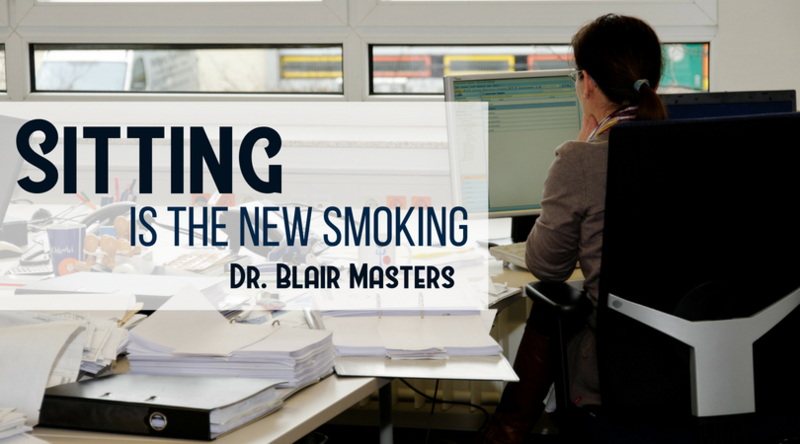 You may have heard that sitting is the new smoking. Many studies have proven that if you are not getting up on a regular basis to stretch, walk around, or have some kind of physical activity, it will cause some significant health problems down the road. This is fairly easy to resolve. I recommend that my patients simply set a timer on their phone where every hour they are reminded to get up and go to the bathroom, take a stretch break, or walk around. This sort of thing can make a big different in your health. Some of the big issues that are a concern with sitting for so long are joint problems as well as blood clots that can occur when the body is inactive for long periods of time. This does not even bring into consideration the cardiovascular issues that can occur from a sedentary lifestyle. So get up on a regular basis at least every hour to do some kind of stretch, activity, or walk around. Another great idea is to take a walk during your lunch hour. This can be as simple as a 5 to 10 minute walk around the building or down the block. This is such a significant issue that one of the big prizes that we are giving away during Don’t Gamble with Your Health week this year is a convertible desk. This desk easily converts from a sitting to standing position! This does not take care of all the problems, but can help quite a bit, so come in during Don’t Gamble with Your Health Week, June 25-30th, and find out all the ways people gamble with their health at work!